When it comes to auction events, there are plenty of variations on the popular fundraising idea. Your organization can host the most traditional live auction event or put a spin on things with a silent auction to create a secretive and competitive atmosphere. If you’re bypassing the old fashioned route and trying out a silent event, online charity auction software can help organize your seating charts, manage your procured items, and even help you decide when to close out bidding! Charity auctions pair incredibly well with capital campaigns, too. If you’re ready to host a stellar silent auction event, let’s dive into the top online charity auction software! The innovative online silent auction software from OneCause helps you manage your event from start to finish. From the menial to the challenging, OneCause holds your hand for every task, making sure the job gets done right. OneCause even puts a major focus on what keeps your organization running, or rather, who keeps your organization running: your donors! With extensive donor management elements, your organization can craft custom thank-you messages, send email receipts for donations, and view all donor contributions in one centralized location. Plus, you’ll even be able to live tweet your event with the Twitter scoreboard from OneCause and create live donation appeals to drive a competitive environment. 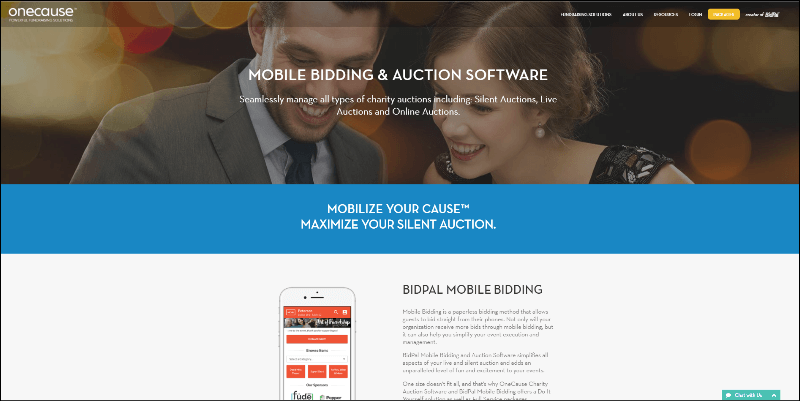 BidPal, mobile bidding solutions from OneCause, offer a quick, easy, and convenient new way for your donors to give. Plus, they’ll get to use their favorite devices to do so. Whether that’s their tablet or their smartphone, donors can place bids through their mobile app. Their mobile bidding solution simplifies your event management even further. With automatic data entry with every placed bid, software from OneCause does the work for you. Because they know one size doesn’t fit all, OneCause offers multiple packages to fit any event. Contact OneCause today for a quote on their online silent auction software. 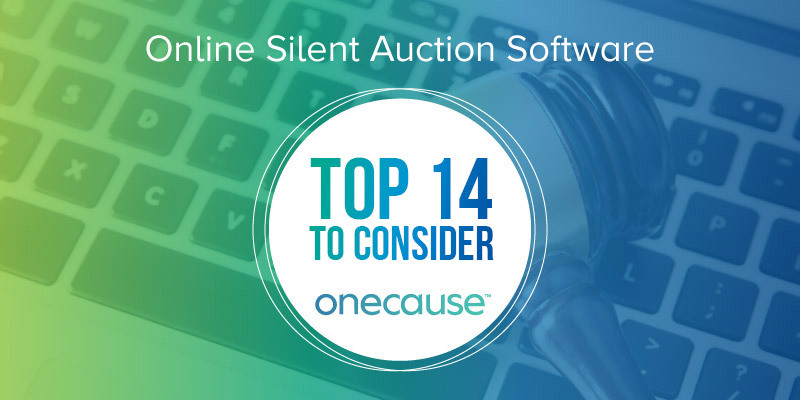 Check out online silent auction software from OneCause! With Double the Donation, there’s now a way for your nonprofit to ensure your online silent auction bidders are able to get the most out of their gifts. Every year, millions of dollars in potential donations are left on the table simply because individuals are unsure of whether or not their employer matches donations. By steering bidders toward a matching gifts database like Double the Donation, your next silent auction can make an even bigger splash! While many nonprofits are aware of matching gifts programs, not all have the resources to follow up with supporters about securing a gift match. However, when you embed or link to Double the Donation’s matching gifts database on your website, your auction’s participants can find out on their own just what it will take to secure a matching gift. Double the Donation’s basic plan starts at just $299/month. Check out Double the Donation's online silent auction software! ClickBid focuses on helping you create a fun, seamless event so you can provide the ultimate donor experience. With ClickBid’s online silent auction software, your donors don’t even have to download an app to bid. All they have to do is click a link and then they can instantly start bidding. You can even mass message your supporters to send them updates, reminders, and other notifications that will keep them engaged with your nonprofit community. ClickBid offers incredible features with their online silent auction software like mobile check-in and check-out, Fund-A-Need displays, customizable event landing pages, and the ability to accept year-long donations. ClickBid offers their annual event license at just $795. 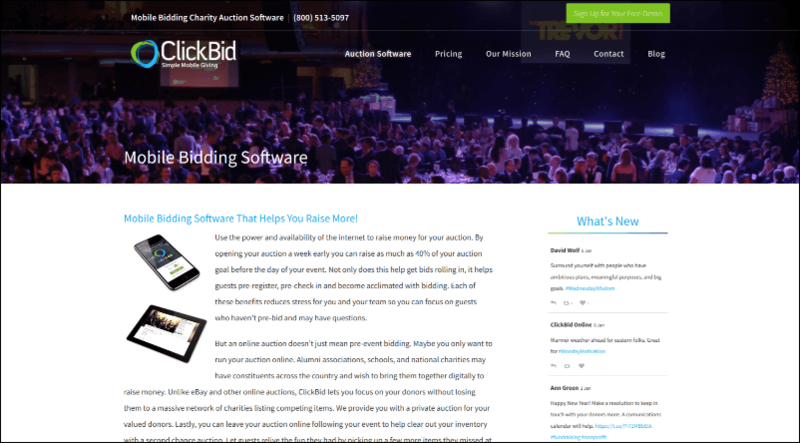 Check out ClickBid's online silent auction software! Founded in 2002, Auction Event Solutions provides nonstop auction management solutions for new and veteran nonprofits. With a heavy focus on your donors’ experiences, Auction Event Solutions hones in on effective registration and checkout, so guests are never stuck in long lines to pick up their winnings. Plus, they offer both phone and online support, just in case. If you have trouble with their online charity auction software, they’ll be there to help in an instant and through your preferred communication method. Auction Event Solutions offers your organization over 200 customizable reports in a moment. Ready to print or email, your organization will have all the data you need to improve your future fundraising strategies and approaches. Plus, to promote paperless bidding, they’ll provide touch screen kiosks for your events so guests can keep up with bidding in a more convenient method. 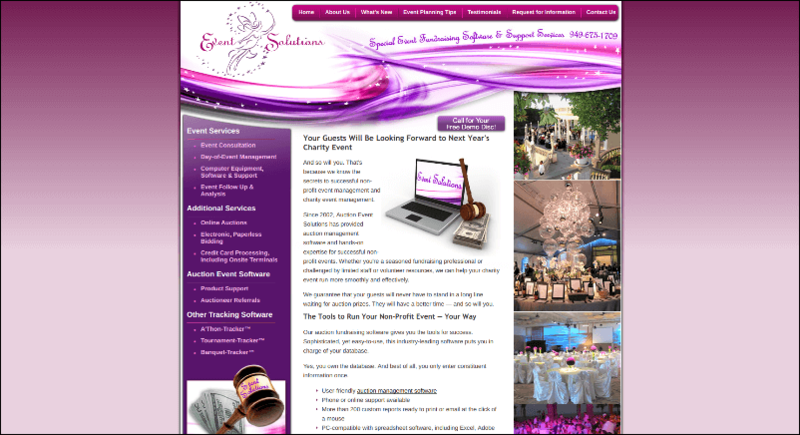 Auction Event Solutions offers customized quotes on their online charity auction software. Contact Auction Event Solutions for a rate on their solutions. 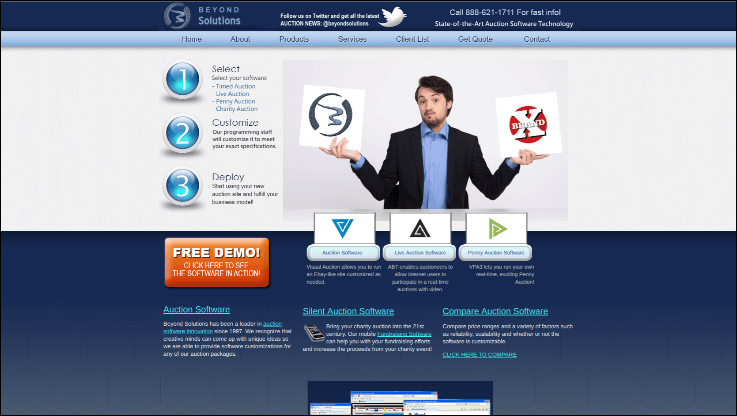 Check out Auction Event Solutions' online silent auction software! 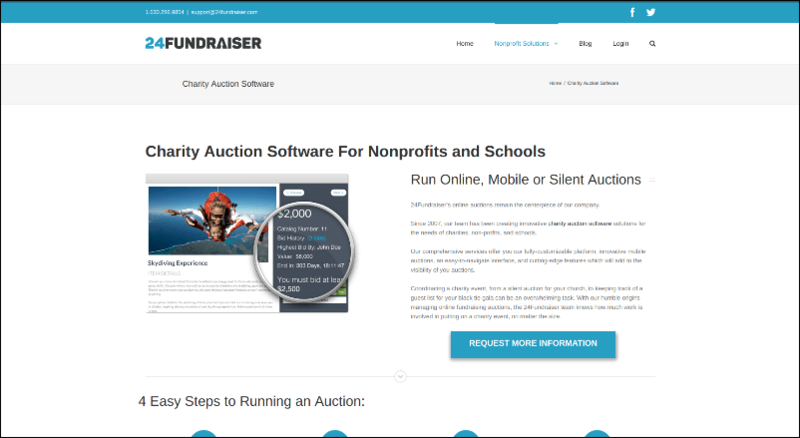 Since 2007, 24Fundraiser has developed online charity auction software solutions for nonprofits in an effort to make auction events more manageable. Launch your auction through social media. For silent auctions, 24Fundraiser offers online pre-bidding, so your donors can place bids before your event begins, increasing your starting bids. If you like the traditional feel of a silent auction, your nonprofit can still print out paper bid sheets and your item catalog. But don’t worry, you can easily add this data back into your software to create invoices and to keep checkout speedy. 24Fundraiser has plans starting at just $297, so there’s something for every budget. Contact 24Fundraiser to learn if their solutions are right for you. Check out 24Fundraiser's online silent auction software! GiveSmart offers innovative online charity auction software for nonprofits looking to revamp their fundraising event strategy. With GiveSmart, nonprofits can offer their bidders an online catalog that’s easy to browse. Plus, your supporters can donate via text. The best part? GiveSmart lets your organization track real-time data so that you can stay to keep up-to-date with event management. GiveSmart helps your bidders stay on top of their favorite items. With their mobile bidding solutions, bidders can receive instant outbid notifications, pay on their phones, and of course, bid from anywhere in the world. What’s even better is, GiveSmart doesn’t require an app. Your supporters can simply bid from your website or via text, which means they won’t need to worry about an app taking up too much space on their phones. 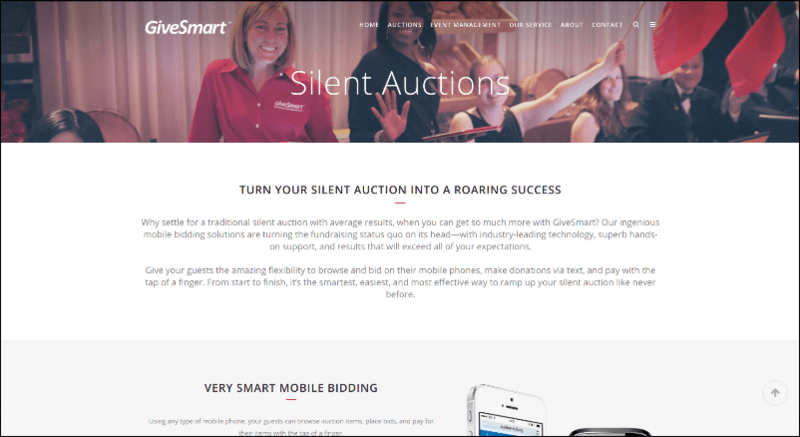 Contact GiveSmart for a quote on their online silent auction software. Check out GiveSmart's online silent auction software! Your organization can take advantage of their easy upload process, where you can document your procured items and attach descriptions and images. Plus, your online silent auction page is customizable so it features your nonprofit’s logo and other information. In addition, AccelEvents gives your organization real-time updates on bids, so your staff knows when to encourage more competitive bidding or close out a bidding section. With their mobile bidding solutions, your supporters can place bids via text message, so they won’t even need to be in attendance at your event. Plus, your organization can open online bidding before your events to drive a competitive bidding environment! Bonus: Remember that charity auctions are strategic events that are well suited for annual events to work toward your annual fund. Check out AccelEvents' online silent auction software! Xcira has a variety of online silent auction software to offer nonprofits. The product you choose simply depends on your organization, cause, and needs! Online RingMan Live Simulcast. Perfect for those bidders who can’t make it to your event, Online RingMan allows your remote supporters to watch the event from the platform of their choosing. Automotive AMS. Useful for automotive auctions, Automotive AMS provides a secure, streamlined environment while offering tools to organize your inventory. Livestock AMS. This product is similar to Automotive AMS, but instead of automotive auctions, the focus of this solution is livestock! Floor Plan Management System. This solution offers an easier method to organize your event’s floor plan. AuctionEar Mobile App. This app allows donors to watch live auctions from their cell phones or tablets. RingLots Timed Online Only Auction. This software allows nonprofits to create an online marketplace to host their online auction event. Intelligent Conditioner Evaluator. This solution allows nonprofits to create reports, leveraging their data to improve their future fundraising and event strategies. Xcira’s AuctionEar app allows your supporters to bid on items in real-time while browsing through your item catalog. With an easy-to-use navigation, bids will be flying! 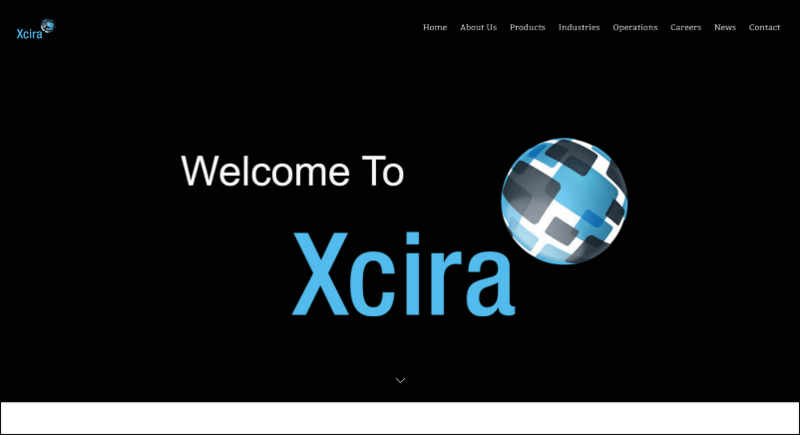 Contact Xcira to get a quote on their online silent auction software! Check out Xcira's online silent auction software! Silent Auction Pro offers nonprofits a multi-user online silent auction software that makes it easy to manage your event attendees and invites. Your organization will be able to offer your donors printed and online program guides. Your supporters can bid via paper bid sheets or an online bidding solution. Silent Auction Pro offers the flexibility to give your supporters what they want. Plus, you can track all of your event information from any internet-capable device at any time. Silent Auction Pro’s mobile bidding solution offers easy bidding via text. Bidders can even use AuctionMobile, Silent Auction Pro’s bidding app, and see their bids’ statuses at the top of their screens! But don’t worry, for the few supporters who don’t carry a cell phone, Silent Auction Pro provides bidding kiosks so every donor is included. 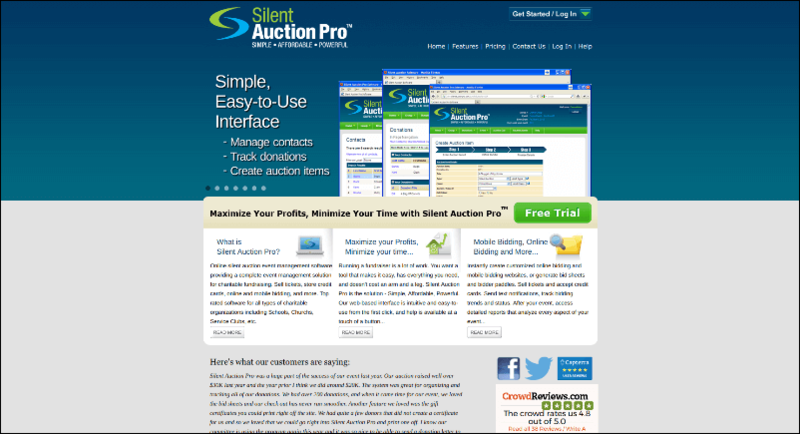 Check out Silent Auction Pro's online silent auction software! 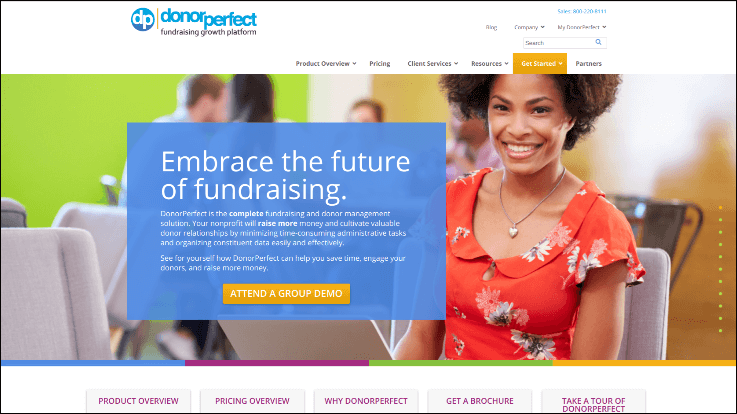 DonorPerfect offers nonprofits the perfect online charity auction software that makes it easy to manage your event attendees and invites. Your organization will be able to use DonorPerfect’s central hub for all of your auction’s data and activity. Managing event details, tracking expenses, and organizing RSVPs has never been easier! Plus, you can offer your donors the option of using DonorPerfect’s online forms for registration. DonorPerfect’s planning and management features offer your organization more sleep at night and much less stress! But even better, their reports track things like your items’ fair market value, your event’s invite total as opposed to your guest total, your total income, and more! This way, you can see where your event excelled and where it fell short. Check out DonorPerfect's online silent auction software! Visual Auction provides organizations like yours with easy-to-use, mobile friendly online charity auction software. Nonprofits can track auction revenue from auction items and additional donations with Visual Auction’s solutions. You’ll even be able to set multiple ticket levels and default bid increments. Plus, your donors will be able to easily search your item catalog by title, description, active country, ID, zip code, and more while you can upload items in bulk. Visual Auction doesn’t mess around when it comes to security. With the options to disable users and auctions and block email and IP addresses, there’s no room for fraud. Contact Visual Auction for a quote on their online charity auction software. Check out Visual Auction's online silent auction software! 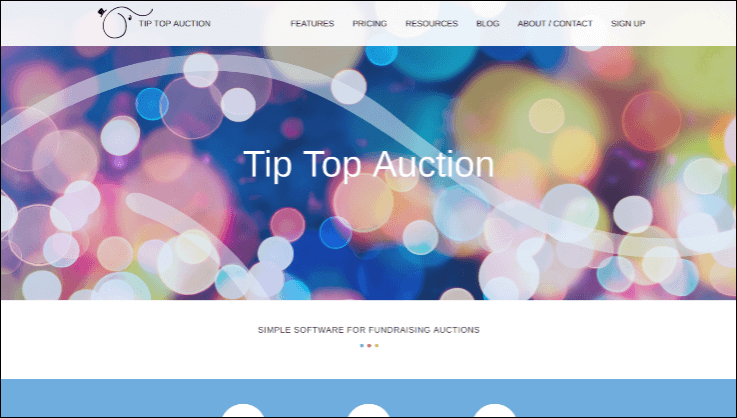 Tip Top Auction helps organizations manage auction events with their web-based charity auction software. That means you can work from anywhere as long as you have an internet-capable device and a wi-fi connection. If you were previously managing auction items in a spreadsheet, don’t sweat it. You can import your items directly from previous documents and easily add new ones into Tip Top Auction’s online charity auction software. Plus, payment processing is included! Tip Top Auction has integrated this service directly into their software so you won’t have to outsource for a processor. Instead, you can start accepting donations and auction item payments right away! Tip Top Auction makes registration and ticket sales as easy as can be. With Tip Top Auction’s services, your guests can purchase tickets online from home or anywhere and their information will be imported to your auction software. Tip Top Auction offers simple pricing with one plan for everything you need at $300 per event with a 3.9% credit card processing fee. Check out Tip Top Auction's online silent auction software! 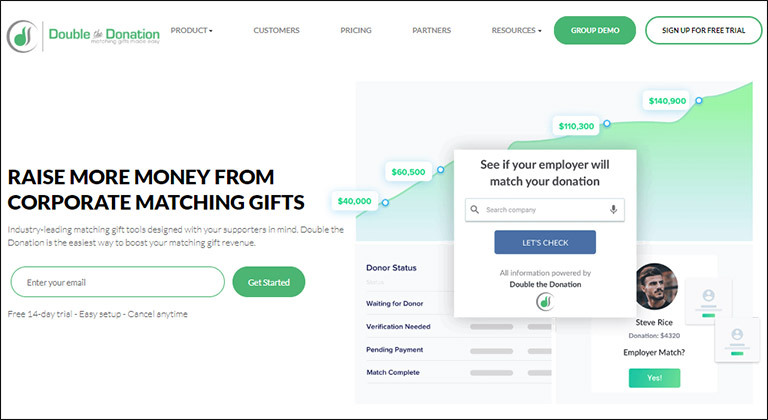 Swappy’s web-based charity auction software lets organizations take their fundraising auctions to the next level with a stellar online execution. Swappy makes sure your donors can bid from anywhere in the world. And they even make efforts to expand your donor base! With so many unique items up for auction, bidders across the world will want the chance to participate in your event, so Swappy helps your online charity auction expand its reach globally. In addition, Swappy helps encourage a competitive atmosphere to drive your bids up so you can maximize on your donations. 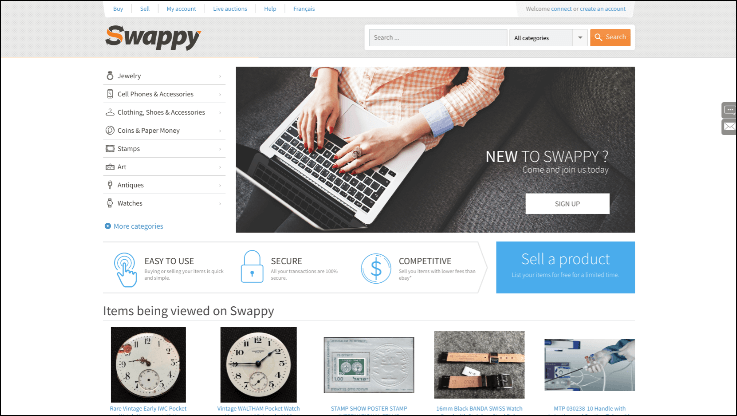 Swappy’s software makes it easy for bidders to search through your item catalog and place bids rapidly so your donors can walk away with their favorite items. Swappy advertises a flat-rate fee. Contact them for a quote on their online charity auction software. Check out Swappy's online silent auction software! For large nonprofit organizations, 360MatchPro automates the matching gifts process by identifying match eligible constituents. This can come in handy when your organization plans its online silent auction events. Instead of just inviting general supporters, you can carefully curate your guest list and ensure that you invite individuals who work for companies that offer matching gifts programs. Not only does this help maximize the impact of your online silent auctions, but it also saves money and time behind the scenes for your organization. 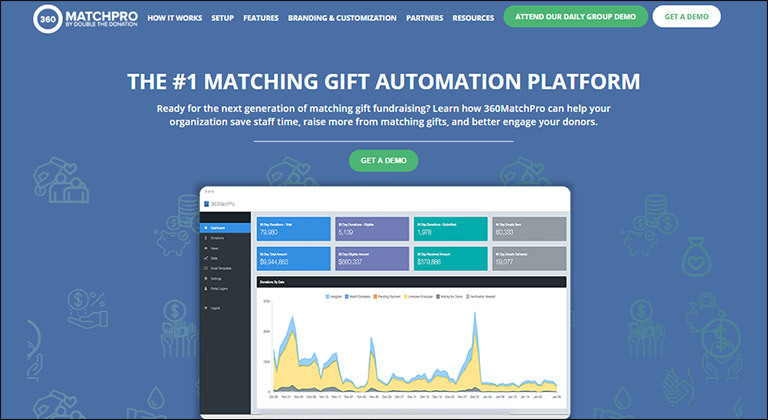 360MatchPro offers large organizations the robust platform they need to drive matching gift revenue from all sources, including online silent auction events. Contact 360MatchPro for a customized price quote. Check out 360MatchPro's online silent auction software! With the help of a provider, you’ll have more time to spend with your bidders and focus on your cause, rather than at a computer, manually entering in data. You can even use your other software to enhance your online auctions. Try using prospect research and wealth screening on your auction attendees to get a better idea of starting bid potentials. Now that you have our top 14 online silent auction software providers, you can host your best auction event yet! DonorSearch’s Guide to Crowdfunding Platforms. Crowdfunding a popular and easy way to raise additional funds. Check out our guide to the different types of crowdfunding fundraisers. Double the Donation’s Charity Auction Guide. For everything you need to know about hosting a charity auction event, Double the Donation made a guide! From procuring items to closing checkout, this guide helps you through your next event, making it a success! 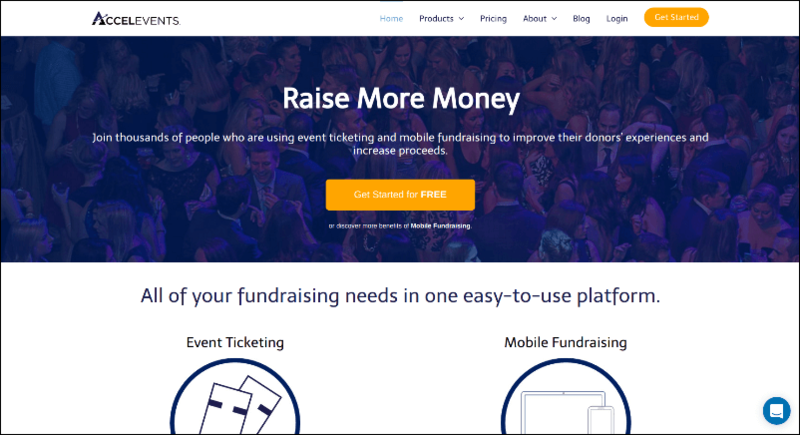 OneCause’s Steps for Planning a Successful Fundraising Event. If you’re not sure how to organize your next event, or you just want to brush up on your skills, take a look at OneCause’s easy steps for a successful event!